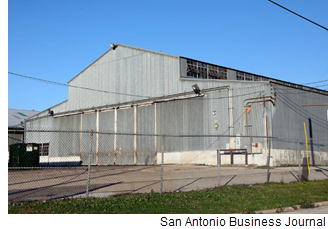 ​​​​​​​​​​​ SAN ANTONIO – Taylor Street Venture LP has purchased a 4.71-acre tract at 540 Culebra Rd. The property has five 1960s-era industrial buildings totaling 78,353 sf. It was last assessed for $2.5 million by the Bexar County Appraisal District.